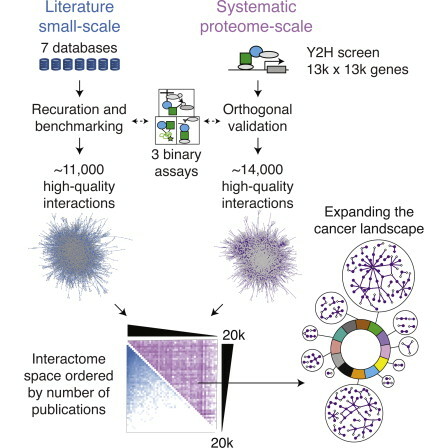 Scientists have created the largest-scale map to date of direct interactions between proteins encoded by the human genome and newly predicted dozens of genes to be involved in cancer. The new "human interactome" map describes about 14,000 direct interactions between proteins. The interactome is the network formed by proteins and other cellular components that 'stick together.' The new map is over four times larger than any previous map of its kind, containing more high-quality interactions than have come from all previous studies put together.